A magnificent family house located in Almoradi with a living space of 300m2 distributed over four floors. The lower floor being a garage parking space as well having stairs leading to a large underbuilt with large storage rooms. On the first floor there is a beautiful fully fitted kitchen with dining room and lounge area with a large wood burning fire. Also on this level there are two double bedrooms and a family bathroom, one of these bedrooms at present is being used as office space. Taking the stairs again to the next level you will find three more double bedrooms all with fitted wardrobes and an additional two bathrooms . There is also patio doors leading to a large terrace with BBQ. Again taking the stairs to the top floor there is a large master bedroom with en-suite bathroom and an additional bathroom as well a gym. This property benefits from having a large terrace to the front of the property. It is being offered for sale furnished to a great standard, has hot and cold air conditioning as well as oil fired central heating. Located close to all services, shops, bars and restaurants and only 30 mins to the airport of Alicante and 15 mins to the beaches of Guardamar. A magnificent property of the highest quality that offers a large living space. You are enquiring about 6 bedroom house / villa for sale in Almoradí, Costa Blanca and your enquiry will be sent directly to Belvedere Estates. 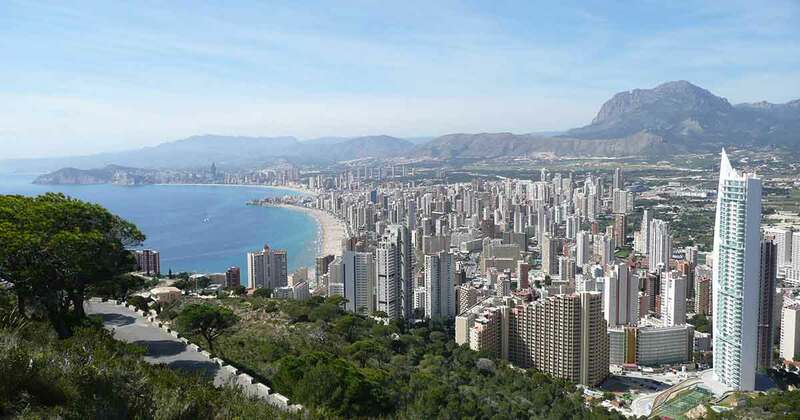 Want the latest properties in Almoradí, Costa Blanca in your inbox?